Lawrence “Larry” Gene David is an American actor, comedian, director, and producer from Brooklyn. David is mostly known as the co-creator of the television series ‘Seinfeld’. He was the head writer and executive producer from 1989 to 1997. He has also gained huge recognition when he created the HBO series ‘Curb Your Enthusiasm’. As of 2019, Larry David’s net worth is estimated to be $400 million dollars, making him one of the richest comedians and actors in the world. Lawrence “Larry” Gene David was born in Brooklyn, New York on the 2nd of July, 1947. David’s parents are Rose and Mortimer Julius “Morty” David. His family is Jewish, and his father’s side moved from Germany to America during the 19th century. Larry David attended the University of Maryland, College Park where he was a brother in Tau Epsilon Phi. He later received a bachelor’s degree in history. After college, David enlisted in the United States Army Reserve. Larry David began his career by attending acting classes in Manhattan. David worked as a stand-up comedian and did various types of jobs to pay for his bills. He worked as an assistant to a lawyer and a salesman for a short period, and also a cab driver. David’s debut performance was at Folk City in Greenwich Village in 1974. He began working as a scriptwriter and actor of ‘Fridays’. In 1983, David was seen in small roles in films such as ‘Second Thoughts’ and ‘Can She Bake a Cherry Pie?’. After the small roles in the films, he began working as a writer for NBC’s ‘Saturday Night Live’. After leaving ‘Saturday Night Live’, David began performing again as a stand-up comedian. The same year he also wrote one episode for a television film titled ‘Norman’s Corner’. In 1989, along with actor and producer Jerry Seinfeld, he created an episode of ‘Seinfeld’ that received huge success. This was David’s breakthrough in his career. In 1998, David wrote and directed ‘Sour Grapes. The following year, he joined the team of the TV-Show ‘Seinfeld’ where he began working as an executive producer for its final two seasons. He was also a part of ‘The Marriage Ref’, a television reality programme by NBC. As of 2019, Larry David’s net worth is estimated to be $400 million dollars, making him one of the richest comedians and producer in the world. View our larger collection of the best Larry David quotes! Together with Jerry Seinfeld, he was the executive producer and the co-creator of the successful sitcom ‘Seinfeld’ which aired from 1989 to 1998. In the last two decades ‘Seinfeld’ has generated over $3 billion dollars. As of 2019, Larry David’s net worth is estimated to be roughly $400 million dollars, making him one of the wealthiest producers, actors, and comedians in the world. 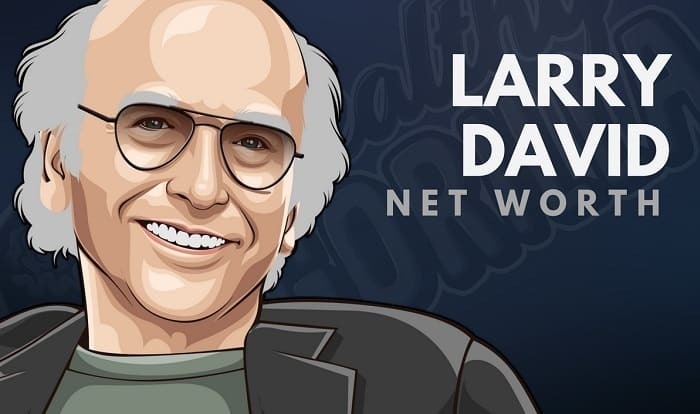 What do you think about Larry David’s net worth? Leave a comment below.